Develop mindfulness and free yourself from automatic and unhelpful patterns of thinking and responding. Based on the MBSR programme, the One-on-One course provides a foundation to integrate mindfulness into daily life to maintain mind-body balance, benefit health and increase well-being on an ongoing basis. Tui Health Clinic, 6/75 Ghuznee St, Wellington or Online. This 8-week course will help you move towards greater balance and control in your life. Learn how to take better care of yourself and discover a deeper sense of ease and well-being. Join our 7-week introductory course to learn about Mindfulness Tai Chi techniques. They will help you reflect an approach to teaching and learning based on the central importance of stillness in motion and motion in stillness. 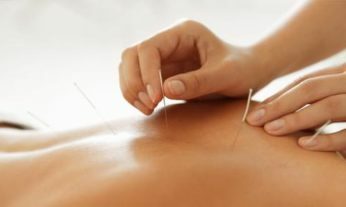 Restore your health and well-being through Acupuncture and Traditional Chinese Medicine. Individualised treatments are aimed at promoting healing, facilitating relaxation and increasing vitality. Wholistic Health Works focuses on an integrative approach to health and well-being. Our mindfulness programmes support this by enhancing relaxation, improving balance and increasing resilience.